Well, Thanksgiving was last week. 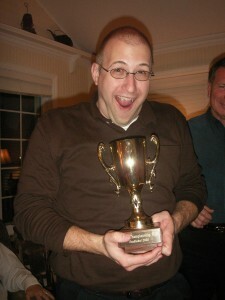 And regular readers know what that means: The Taboo Championship Cup was on the line. Now the men in my family have been on a pretty good streak. Winning in 2008, 2009, and 2010. But this Thanksgiving was the first one where Karen Ann Rogers Rinehart was back in town since being married. 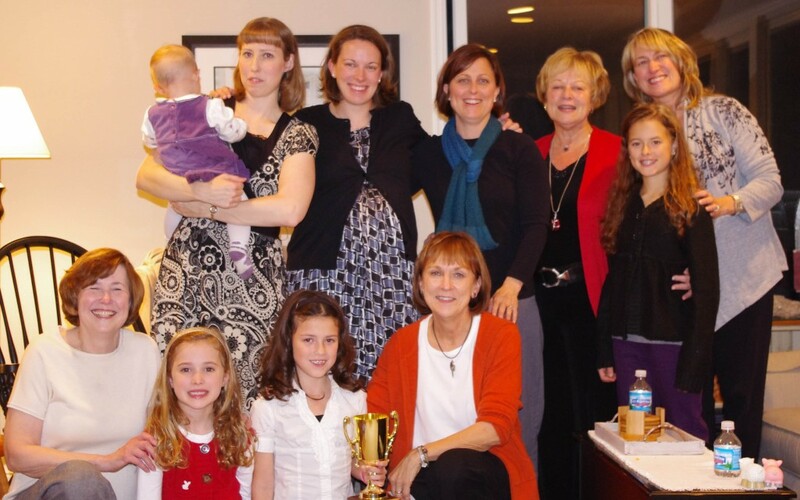 Karen led the women to victory, and now the Taboo Championship Cup for the first time is in Wisconsin. 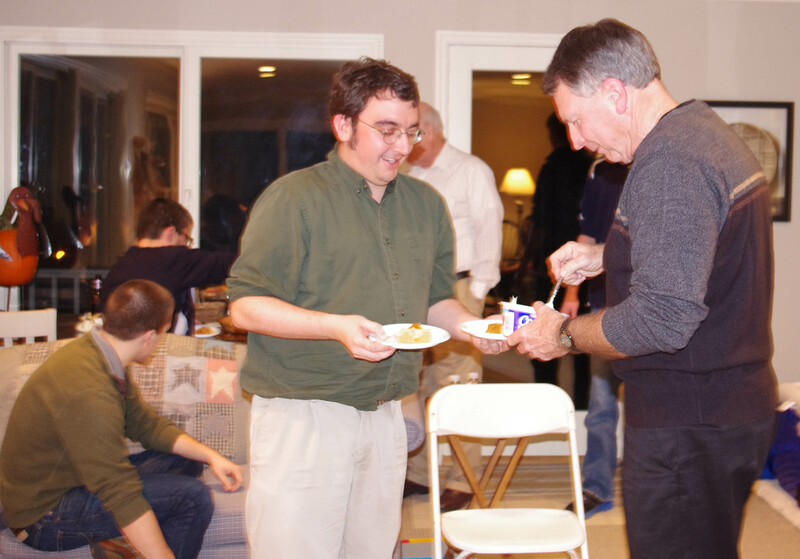 It is a rare experience for the men, but the tradition is that losers of Taboo serve the pie. So Jeff got to slicing it up, Jim threw on some whipped cream, and I served. The men may be in some trouble in future years. Generally Barb is the women’s MVP, but she and Tim spent Thanksgiving in KC. If the women get Barb and Karen together at the same Thanksgiving, we may be doomed. This entry was posted on Thursday, December 1st, 2011 at 2:23 am	and is filed under Personal Story, Taboo Championship Cup. You can follow any responses to this entry through the RSS 2.0 feed. You can leave a response, or trackback from your own site.